Lots of snow on the ground, but clear blue skies so we went on a trip up Carn Ealasaid to make the most of the views. Tom and Sable under a big, blue sky! Summer has been slow to arrive this year, but on the morning of the twelfth, the clouds parted and a Mediterranean sun shone over Aberdeenshire. We had three walked up days with friends and family, and the hillside was looking more beautiful than ever. All the hard work has paid off in Papa’s vegetable garden. There are cabbages, lettuce, peas, onions, strawberries, raspberries, redcurrants, whitecurrants and so much more. Aside from all the massive vegetables and big, juicy fruit there can’t be many other allotments with such amazing views. 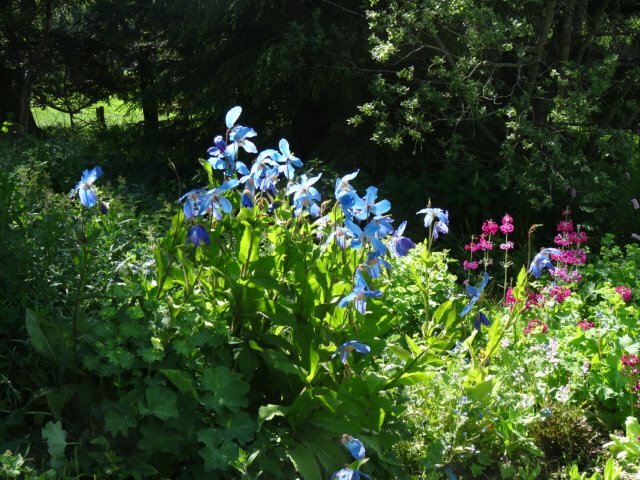 These amazing Himalayan poppies or meconopsis are growing in the front garden. They only grow round this altitude. 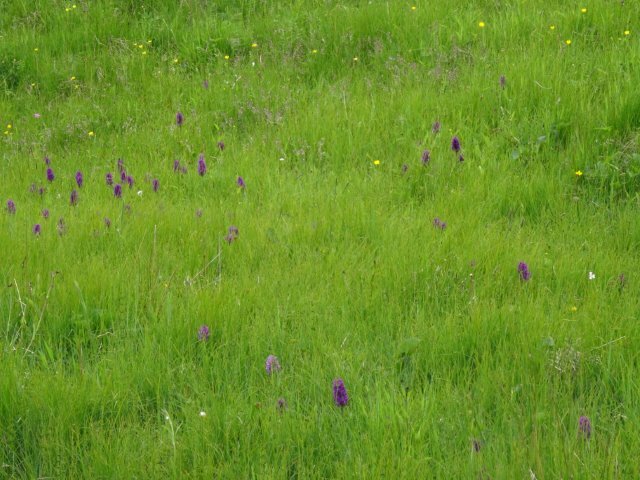 There are also some orchids which are growing below Allargue on the bank up towards the house, they look incredible.